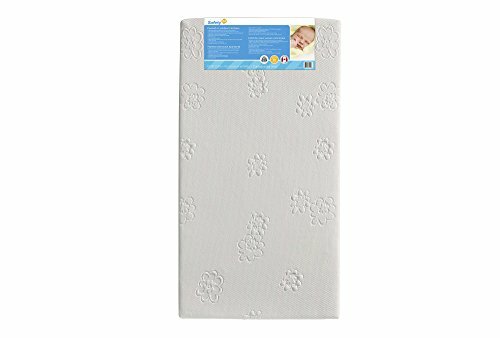 The Peaceful Lullabies mattress has a high density, thermo bonded fiber core to provide your baby with the firm support it needs for a peaceful sleep. Its filling contains natural cotton and wool fibers which deter moisture to help keep your baby from over heating throughout the night. Its soft and water resistant cover is made with rayon, and is removable and washable for your little angel to always lie on a fresh, clean and hygienic surface. Fits standard cribs and toddler beds.